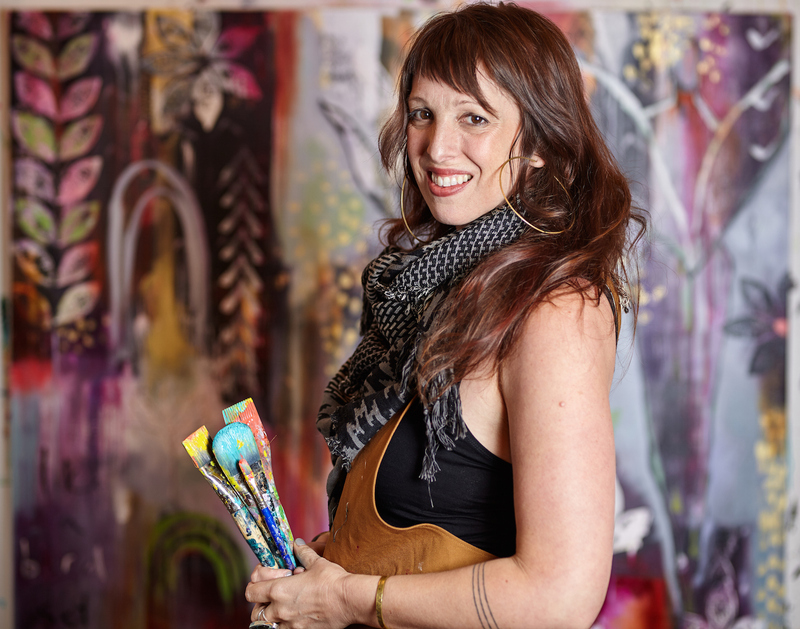 Flora Bowley is a painter, creative pioneer, gentle guide and author of two top-selling books, Brave Intuitive Painting and Creative Revolution. Blending over twenty years of professional painting experience with her background as a yoga instructor, bodyworker, and lifelong seeker, Flora believes creative expression is both a birthright and crucial part of holistic well-being. Flora’s soulful approach to the creative process has sparked a new holistic movement in the intuitive art world — inspiring thousands of people to courageously pick up a paintbrush, often for the first time. Flora lives in Portland, Oregon.